The word of the day is CAVIL. This word can be either a verb or a noun. As a verb, it means to find fault in or to raise trivial objections. A synonym of this word would be quibble. As a noun it’s a carping or trivial objection. 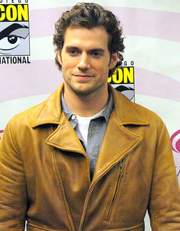 Then, there’s this Cavill. Henry, to be exact. AHHH. I wouldn’t quibble over him, would you?